Devon County Council is warning of the potential for travel disruption in parts of the county this afternoon (Thursday 31 January) and into tomorrow morning. A band of rain and sleet is forecast to hit Devon from midday which could fall as snow from around 3pm today. Snow response plans for Haldon/Telegraph Hill and the North Devon Link Road are being activated from midday. Although the amount of snow is expected to vary across the county, areas of high ground could see up to 10cm of snow over a five-hour period. The Met Office has issued an amber warning for snow this afternoon. The County Council was gritting its main routes again this morning and is warning people who may need to travel home via high ground routes to ensure they leave in plenty of time. Devon County Council, Devon and Cornwall Police and Highways England are establishing the forward control point at Haldon and Telegraph Hill, with spotters in place to monitor conditions. Gritters and ploughs are on location and on standby to respond to any deterioration in conditions. Extra tractors and ploughs are also being located on the North Devon Link Road between Bolham Roundabout and South Molton to enable continuous gritting. The authority is also preparing to carry out snow clearance tomorrow should any rural communities be cut off overnight. Highways England’s gritting teams are also working around the clock to treat major trunk roads and keep them free from disruption. Chris Regan, Highways England’s Head of Service Delivery in the South West, said: “Gritters are out treating our routes around the clock but it is still important to drive to the conditions when snow is forecast. 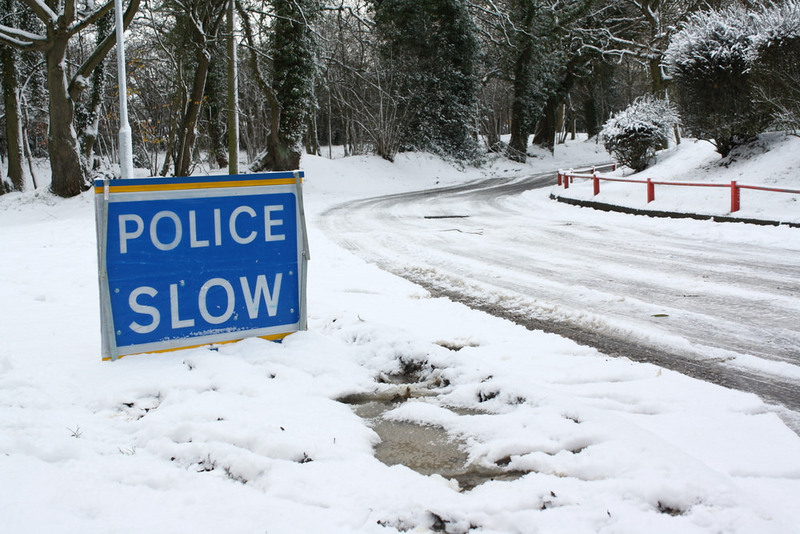 If you need to travel in the afternoon, make sure you keep your distance and reduce your speed because, even in conditions that seem normal and the snow is not settling, it can be slippery if ice patches have formed, or where fresh salt has not been worked into the carriageway. Chief Inspector Adrian Leisk, Head of Roads Policing for the Alliance, said: “We are aware of the upgraded weather warning for this afternoon and tomorrow, which is an amber warning for snow encompassing parts of Devon. It is vitally important that the public take these warnings serious. It is in place from 2pm today meaning that it will impact rush hour traffic, therefore we advise that people give serious consideration to their journey home from work and the school runs; we recommend that people do not travel unless essential. Check out any school closures and sign up for alerts for any school by clicking on ‘Alert Me’. Highways England is advising drivers to pay attention to messages on the overhead electronic signs and listen for radio updates. Further information can be found by visiting http://www.highways.gov.uk/traffic or by following @highwaysSWEST on Twitter.